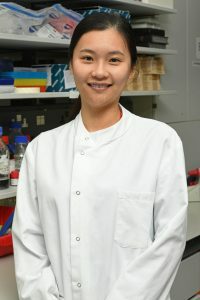 My PhD project uses a unique neonatal model of allergic airway diseases to investigate gene-environment interactions mediating onset of preschool wheeze and progression to asthma, with the aim to find targets for disease prevention. I graduated from University College London with a BSc in Biomedical Sciences followed by a MSc in Immunology from Imperial College London. I worked as a research assistant at Centre of Inflammatory Diseases in Imperial College for two years before joining Lloyd’s group in 2018.